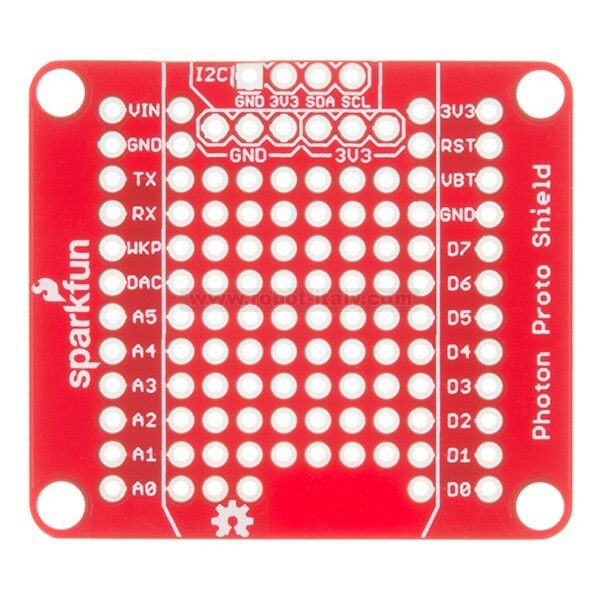 This ProtoShield mates easily with your Photon module and provides a small soldering area and separated power and I2C hook-ups. 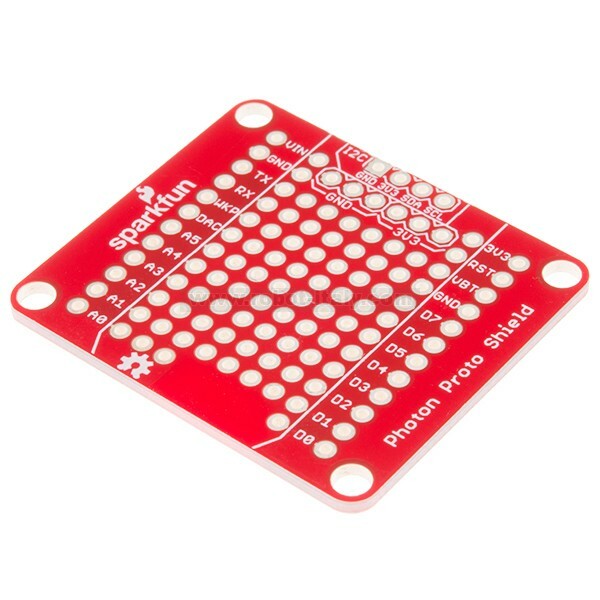 You can’t have any development board without some sort of prototyping area, the SparkFun Photon ProtoShield takes care of this. 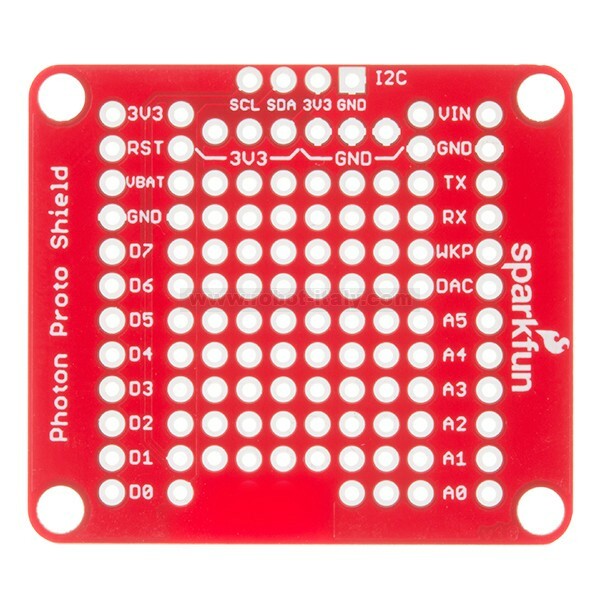 This ProtoShield mates easily with your Photon module and provides a small soldering area and separated power and I2C hook-ups. With the SparkFun Photon ProtoShield you have the control over what kind of project you design for your Photon. 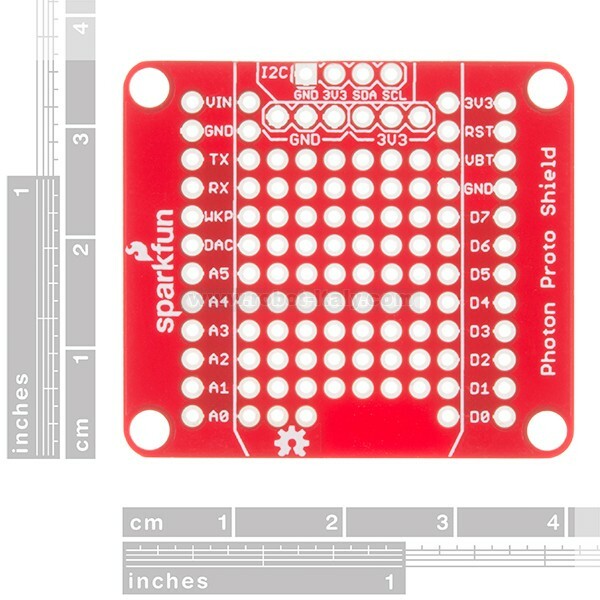 The SparkFun Photon Wearable Shield makes it easy to add the WiFi enabled Photon to any wearables project. The SparkFun Photon Micro OLED Shield breaks out a small monochrome, blue-on-black OLED to use with your Photon module.